Proponents of several proposed ballot initiatives will begin the final stage of their petitioning efforts Wednesday to secure spots on the November 2018 ballot. 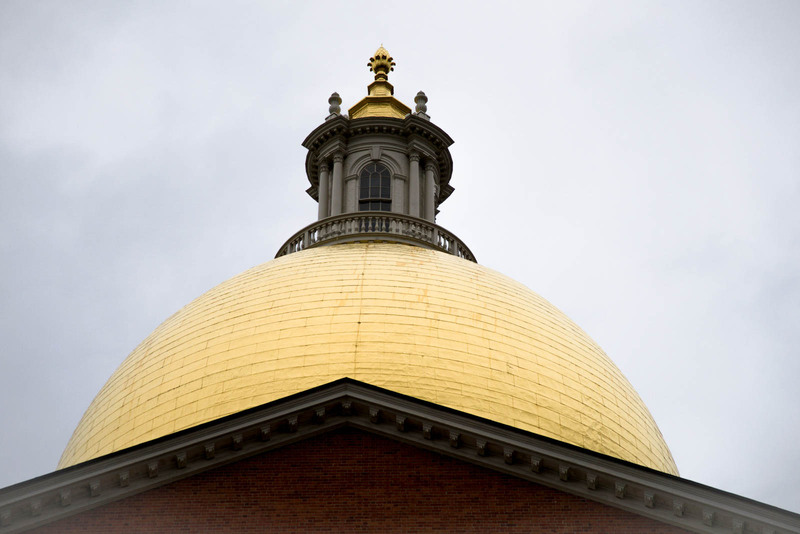 The proposed ballot questions include a gradual minimum wage increase, paid family leave for working individuals and balanced nurse-to-patient ratios in Massachusetts hospitals. The Massachusetts legislature has until the beginning of July to compromise on the bills. At that point, if no legislative action has been taken and enough signatures have been collected for each ballot initiative, voters will determine the fate of the bills in November. Raise Up Massachusetts, a coalition of activists from various community organizations and local labor unions, is advocating for two ballot initiatives — one, which would increase the state-mandated minimum wage from $11 an hour to $15, and the second, which would provide workers with paid medical and family leave. Andrew Farnitano, a spokesman for Raise Up Massachusetts, said the coalition’s supporters have been collecting signatures in front of supermarkets, sports games and Massachusetts Bay Transportation Authority stations for months, which propelled their two ballot questions into the second round of petitioning. Farnitano said the coalition collected well beyond the required 64,750 signatures in the first round and is preparing to collect an additional 10,792 signatures for each ballot question in the second and final round. Although members of the coalition are enthusiastic about collecting signatures, he said they have been urging the legislature to pass the bills because unfit living wages and family leave are time-sensitive issues. Jenny Ashburn, 44, of Roxbury, said she supports paid leave because she thinks workers who are taking time off to care for a sick relative or newborn could benefit from the financial support. Ben Evans, 36, of Brookline, said although petitioning might be a tedious process, he thinks voter outreach will result in the best outcomes for the ballot initiatives. Kate Norton, media coordinator for the Patient Safety Act ballot campaign via the Massachusetts Nurses Association, said the need to set a safe maximum limit on the number of patients assigned to a nurse at one time is an immediate concern in the Commonwealth. The State of Patient Care survey, commissioned by the MNA in April, found that for each new patient assigned to a nurse, the likelihood of a patient surviving cardiac arrest decreased by 5 percent. The survey also found that a patient’s risk of dying within 30 days of surgery was 20 percent higher at hospitals without patient limits. Despite these findings, Massachusetts nurses reported that they are typically assigned to treat six to eight patients at the same time. Norton said the association has been advocating for safe patient limits for over 20 years and believes a ballot question is the quickest path to implementing change. “We believe that the way to ensure action on this is to put the issue directly before the voters and ask them to express their opinion on this and, hopefully, get on board and agree that safe patient limits will save lives and improve quality of care,” she said. Timothy Sanders, 59, of Dorchester, said he thinks Massachusetts needs a better nurse-to-patient ratio and will vote in favor of the measure if it appears on the November ballot. “As someone who has spent a lot of time in hospitals, I can absolutely attest to the fact that these nurses are overworked, understaffed for the number of patients they’ve got coming in and are running around trying to care for way too many folks at once,” Sanders said.